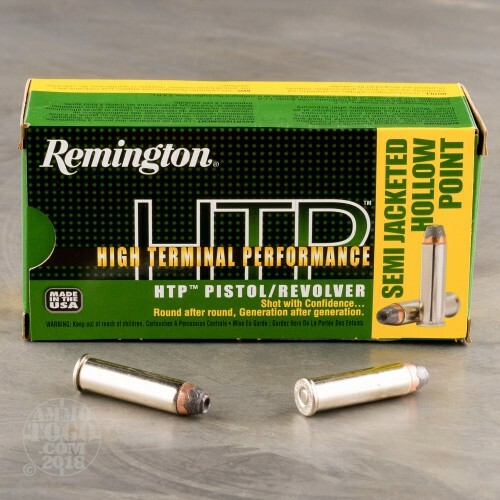 These cartridges from Remington's High Terminal Performance (HTP) line are a great choice for self-defense and light hunting with your wheel and lever guns chambered in .357 Magnum. HTP rounds are assembled using premium components including non-corrosive Boxer primers, clean-burning powder, and reloadable brass casings. With these particular cartridges, the casings are nickel-coated for longevity as well as smooth extraction from cylinders and chambers. Each round will propel a 158 grain semi-jacketed hollow-point (SJHP) projectile at 1,235 feet per second out of a four inch barrel. 158 grains is on the heavier side for factory .357 Magnum and combines with the standard pressure charge to deliver a balance of high energy and manageable recoil. 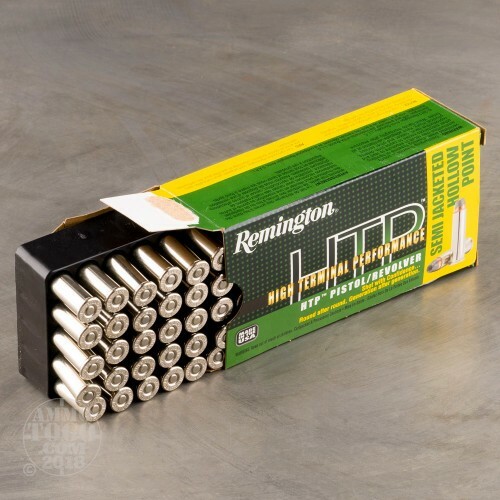 SJHP bullets have a larger portion of exposed lead than modern JHPs which aids in causing impact expansion when velocity is diminished due to a short barrel or heavy clothing. 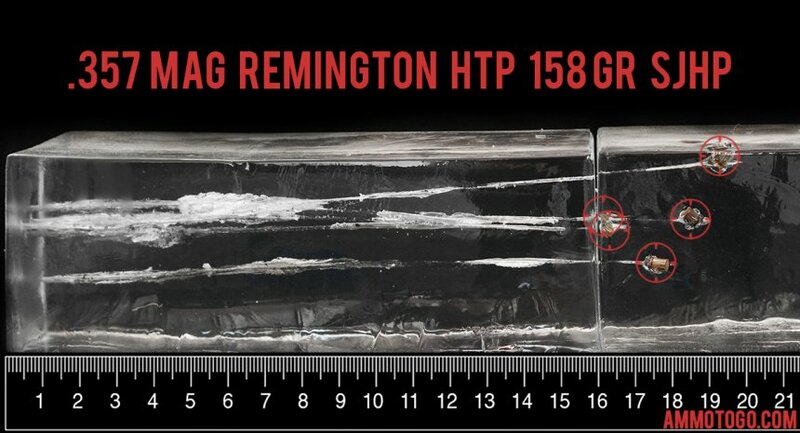 We fired five rounds of this Remington Ammunition 357 Magnum ammo through a cloth barrier into Clear Ballistics calibrated synthetic gelatin and recorded the results. For these tests, we used a S&W 640 with a 2.125-inch barrel. 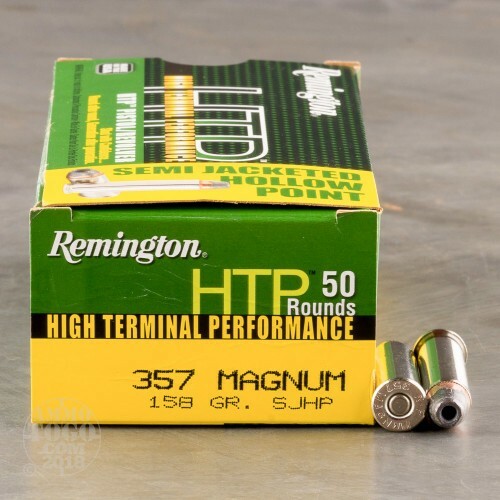 In the photos, graphics and video on this page, you can see specifically how the Remington Ammunition ammo performed and how it sticks up with the rest of the 357 Magnum ammo we have tested so far. 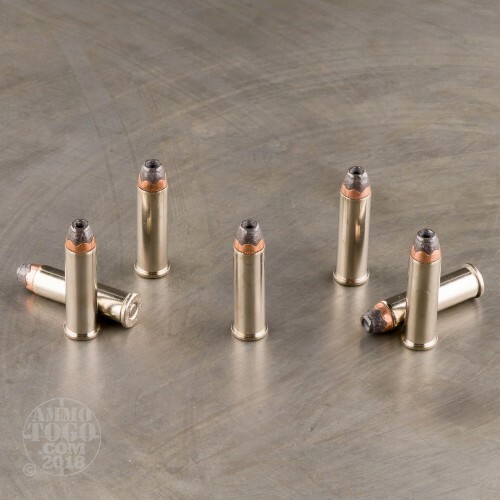 Expansion Diameter Compared to All 357 Magnum Ammo Tested MIN 0.35" MEDIAN 0.55" THIS AMMO 0.58" U.S. dime MAX 0.75"
Penetration Depth Compared to 357 Magnum Tested 0" 10" 20" 30" MIN 9.2" MEDIAN 17.3" THIS AMMO 18" MAX 41.7"